How about a 3 day weekend? 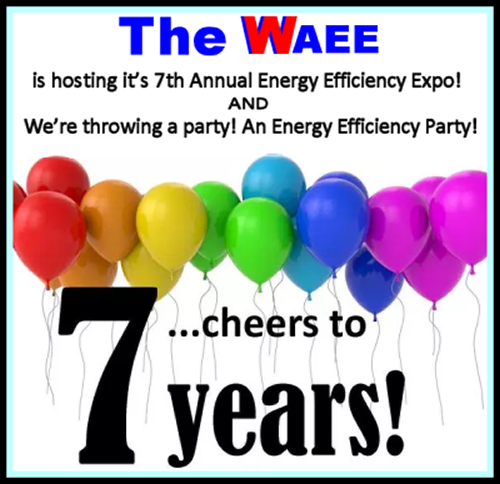 Mark your calendars now and make plans to attend the 7th Annual Wisconsin Energy Efficiency Expo. Interesting, educational and it makes good business sense, bring your boss. If you are the boss bring someone that cares. Its all FREE! ✓ Learn: Over 25 in-depth presentations and discussions, all relevant to energy conservation, environmental responsibility and your bottom line. ✓ Arrive Early: Attend the “New Technology Breakfast”, a great breakfast buffet with a parade of speakers showcasing their company and product offerings. ✓ Stay for Lunch: Network with peers and professionals in our field while taking in the presentation of our keynote speaker. ✓ Win: Door prizes and drawings throughout the day. Yep! That’s right It's all FREE Register Now!